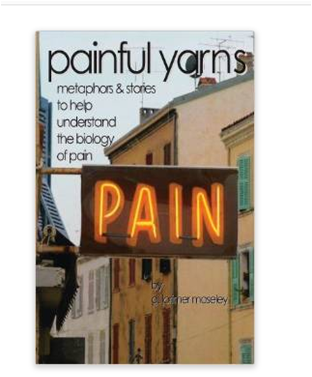 Painful Yarns“by Lorimer Moseley is written in a way for everyone to understand. Many patients have told me they found they understood why they were experiencing pain and felt more in control of their pain after reading this book. The story and metaphor section of my blog is based on this book and I hope that its effect here will be the same. Here is the Amazon.com link to take a look at the book. In his book, Dr. Moseley shares a story about a snake bite experience to explain how pain can occur due to potential tissue damage to protect the body. While on a hiking adventure, he felt a scratch on his leg. He didn’t think anything about it, but ended up in the hospital because he was bitten by the second most deadliest snake in the world. He was one of the first ever recorded to recover from this type of injury. That is not even the most interesting part of this story! Something fascinating occurred when he went hiking again. While walking, he felt the same exact scratch on his leg, but this time he fell to the ground in agony. A friend went to his aide and was ready to call for help. He looked at his ankle and it turned out to be just a scratch. After experiencing a medical emergency when he felt the first scratch, his brain created a memory of the incident. The second scratch triggered that memory and increased pain to protect the body from potential injury. Pretty fascinating stuff!! You can read more and understand the mechanisms of pain in his book and in the Stories and Metaphors section in my blog. The only thing I do not like about the book is that he uses profanity on a couple of occasions, although it makes sense that saying “ohhhh poo” or “gosh gee willikers” just doesn’t do it, especially during a very painful experience.